This is another stamp from the Country Pleasures (retired SU) set I found the other day. 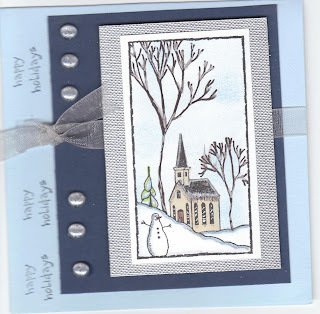 These are fun to color and layer onto a card. I used some textured silver paper from my stash and put that on the Night of Navy with some silver organdy ribbon. The little pearls that my Susan gave me look great against the Navy paper.